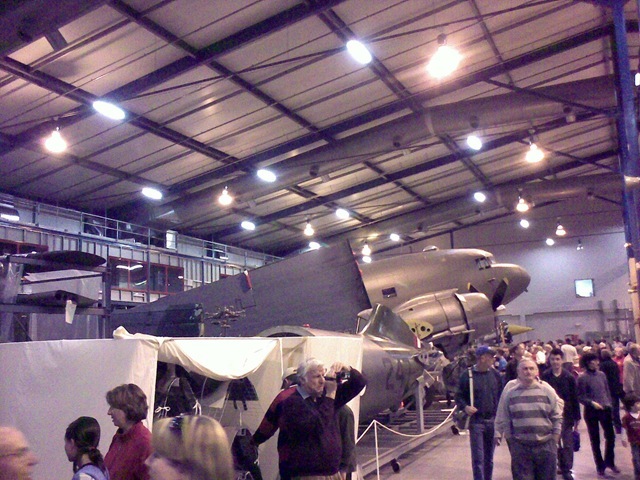 The Australian War Memorial (AWM) opened its storage area for visitors yesterday. It was Father’s Day in Australia and the AWM had decided to open the large item storage area as a treat. This area is where the AWM stores those display items that it does not have space for at War Memorial. There is some great stuff in here, a couple of World War 1 tanks, a few aircraft in bits, a Japanese tankette from World War 2, couple of Australian Centurion tanks, some M113s, including an M113 FSV, rockets, bombs and other ordinance. It was a great day and I thoroughly enjoyed it in the company of sons number 1 and 3. More on some of the displays later. Next time I get a chance to visit here again I shall remember to bring my camera!